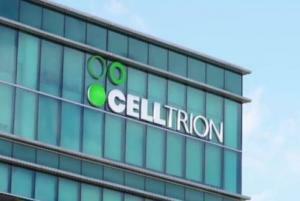 Celltrion said Monday that it has signed an exclusive sales agreement with a Japanese company for CT-G20, a hypertrophic cardiomyopathy treatment candidate. Hypertrophic cardiomyopathy is a condition, in which a portion of the heart becomes thickened without an apparent cause, causing heart problems in pumping the blood effectively. Currently, there are no medicines that have received regulatory approval in treating hypertrophic cardiomyopathy in the world. The total contract amount is $25 million, while Celltrion will receive 10 percent of the full contract fee, which is $2.5 million, upon signing the contract and the remaining $22.5 million in milestones following the commercialization process. Celltrion said it would be able to receive a contracted milestone for every achievement related to the drug upon the agreed conditions between the two companies, including clinical trials and licensing. The company plans to directly sell the product in the U.S., Europe, and Korea while continuing to develop similar business model related to the one in Japan for other countries, it added. Celltrion held a pre-investigational new drug meeting last year with the U.S. Food and Drugs Administration (FDA) to discuss quality, non-clinical and clinical development strategies for early global commercialization of CT-G20. The company has completed the discussion of clinical development concepts at this meeting while preparing for a second meeting for rapid development design. Celltrion plans to launch its first clinical trial next month while conducting additional trials for patients by the third quarter of this year. The company plans to complete phase 3 clinical trials by the end of 2022 and start the manufacturing process by 2023 through its Celltrion Pharma, one of its subsidiaries.